This is the third Wakefield Press book I’ve read within the last month. The first two ‘flowed’ – there was something about the writing style that made me want to carry on reading, something about the stories that drew me in. 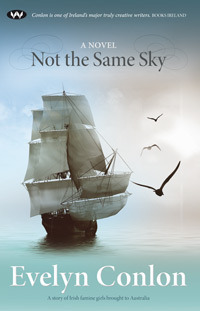 I did not quite have the same experience with “Not the Same Sky”. Although the story eventually captivated me, it felt somewhat disjointed. This is maybe partly due to Conlon’s writing style and perhaps because the plot is unnecessarily layered. 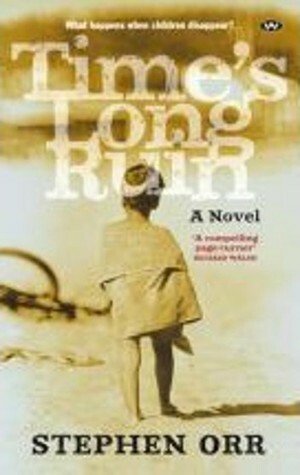 For me the story is about the girls who were shipped from Ireland to Australia. I wanted to know more about them, to go into their characters more deeply. Just as I thought this was happening, Conlon veered off into the life of the ship’s surgeon who cared for them on their trip. Whilst he is an interesting character, I felt deprived of information about the girls. And then wrapped around these stories is a thinner story about the current day Irish stonemason who travels to Sydney to consider a memorial for the girls. This seemed superfluous to me. It’s an epic tale, and almost succeeds, but left me dissatisfied and feeling that the books was more of an effort than it could have been; that the story was not given full justice.